Strong and absorbent, acid-free papers are made in the centuries-old Japanese tradition from the fibers of the mulberry tree. 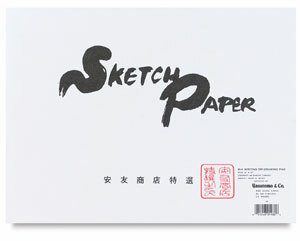 Because they do not shrink or tear easily, these sheets are good for woodblock or lino printing. 71.5 gsm.